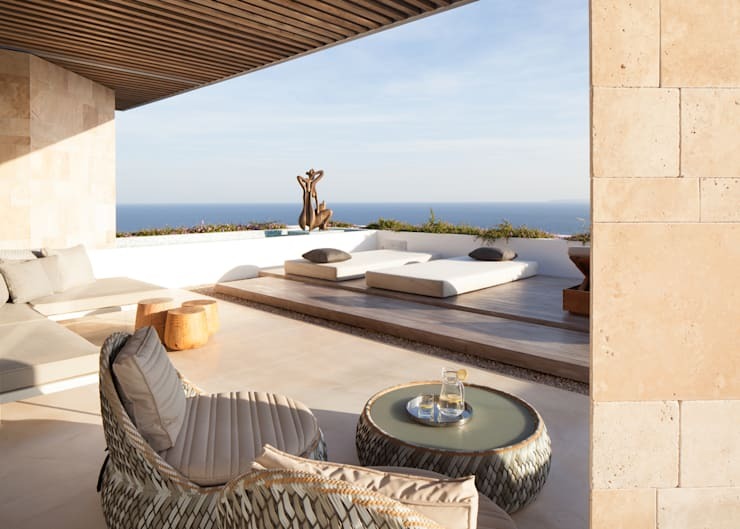 Are you looking at ideas to enhance the comfort and style of your modern home with a zone to enjoy sunsets and fresh air? 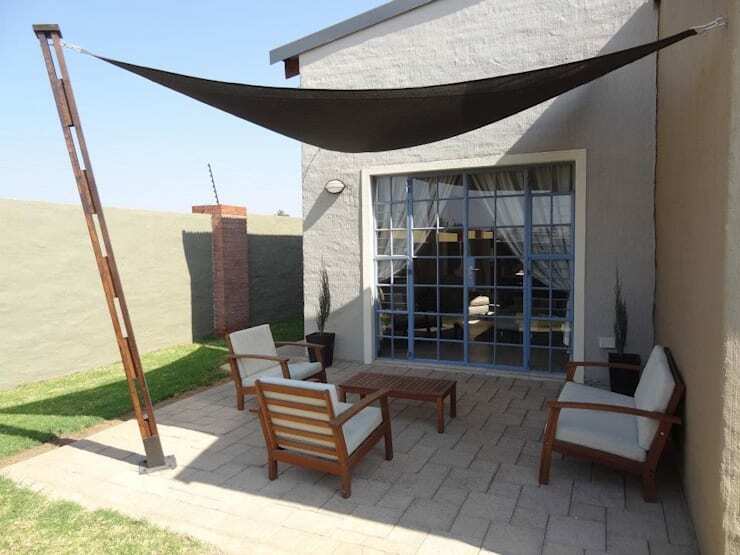 Or perhaps a braai area for those amazing evening events with loved ones. 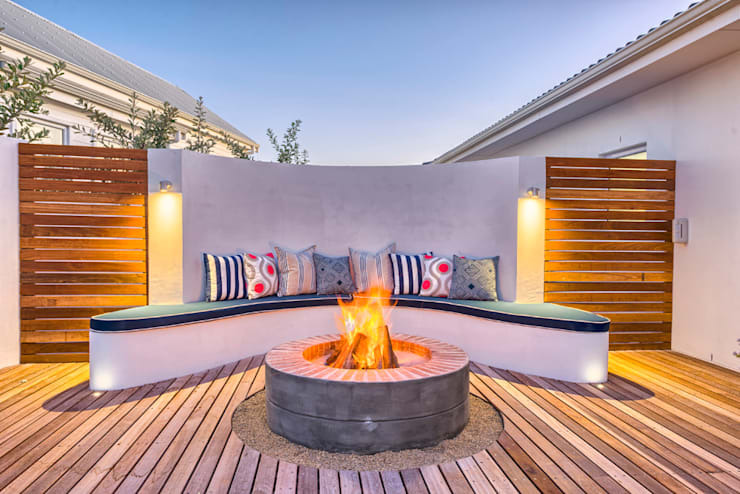 This homify feature is all about patios, and our professionals included 13 brilliant ideas from our favourite South African inspirations to suit your home! So whether your style is authentically rustic or sleek and modern, consider a gorgeous patio revamp and soak up the sun. By building a weatherproof seating area outside, you'll never have to rush home to bring in those pillows when the weather starts looking dull and dreary. While outdoor heating does work quite well to warm up the patio, there's nothing like a campfire style fireplace to get the scary stories flowing. 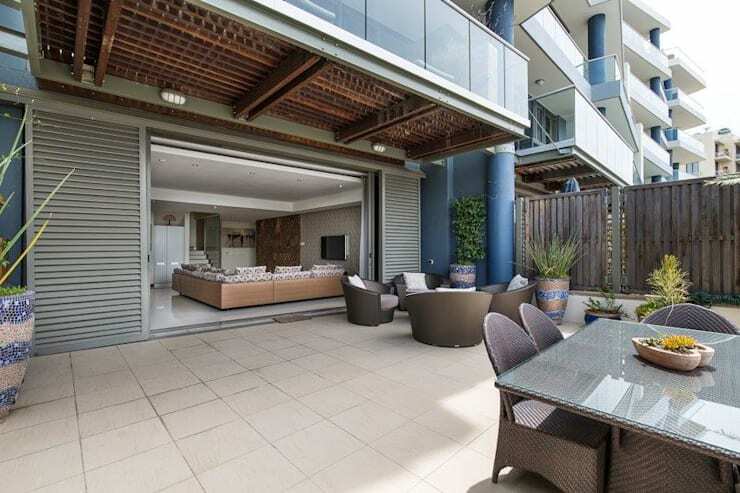 This patio area has comfortable seating, a fireplace and a sophisticated home just a few metres away, you'll never entertain the same way again. 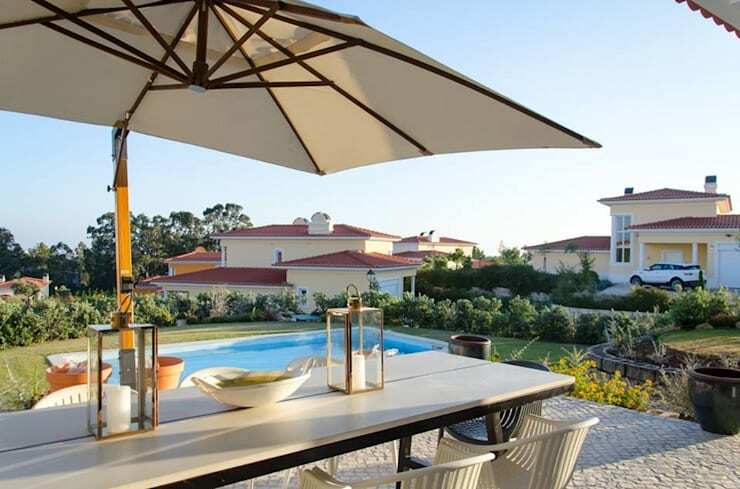 An outdoor dining area is perfect for those Al Fresco evenings. 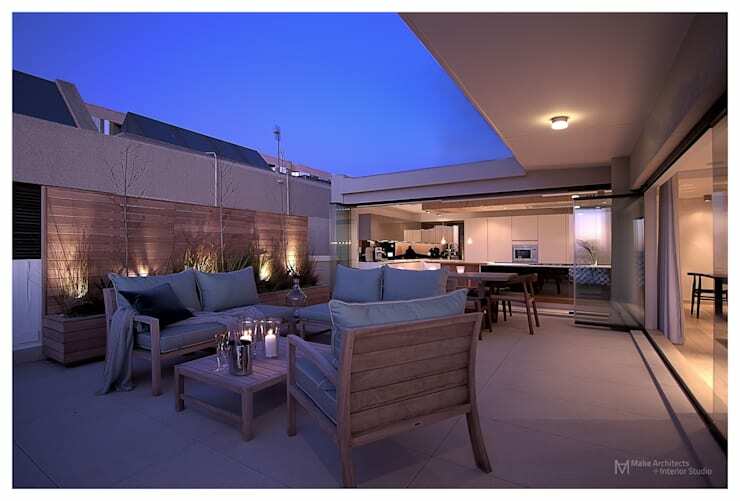 A rooftop patio is essential for your penthouse apartment or even just for a home with a view. The neutral colour scheme and romantic illumination creates the perfect setting for a quiet evening with loved ones. A grand garden doesn't need to be just that. 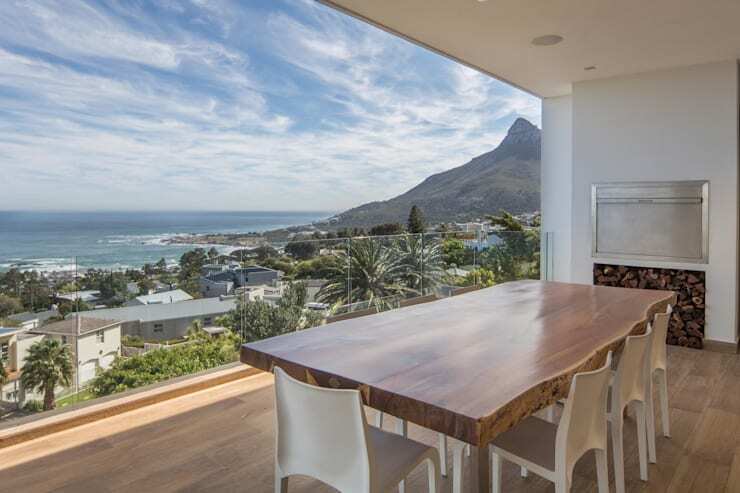 Include a sensational seating area for outdoor dining and enjoy sundowners in the comfort of your home. 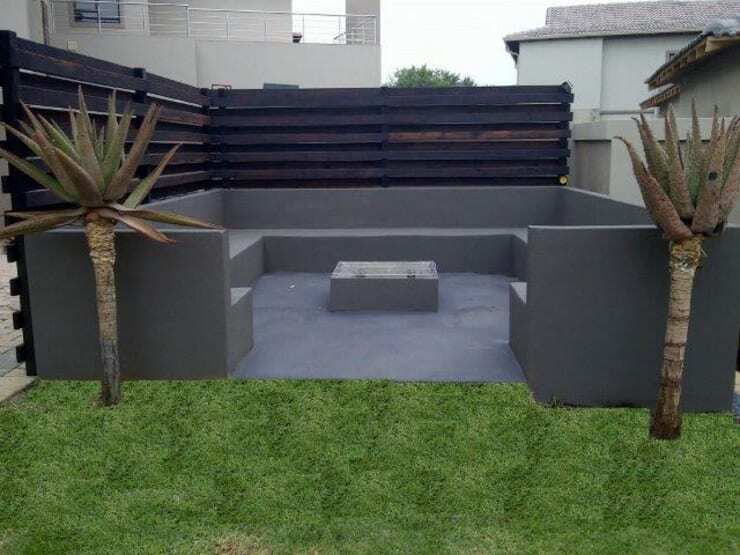 A small backyard is no excuse for a non-existent patio, it can instead be a cosy comfort. 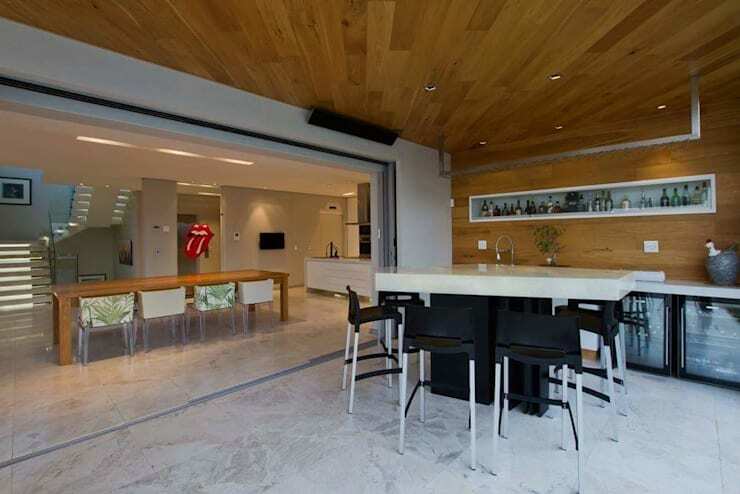 Opt for more dining space and your home will be functional and fantastic for the whole family. 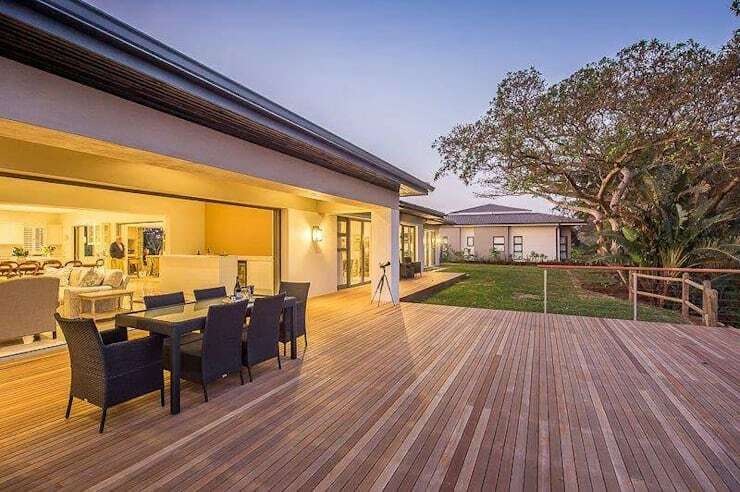 A wooden deck will protect your grass from erosion. Include an elegant patio as part of your pool area for those pool parties that will be remembered for years to come. 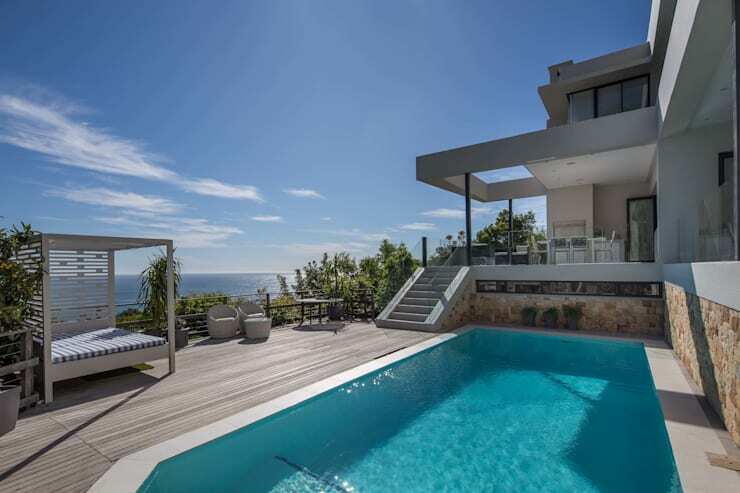 There's nothing more Zen than a view of the ocean, but in true Cape Town style, the soothing sight of the Atlantic is never far away either. 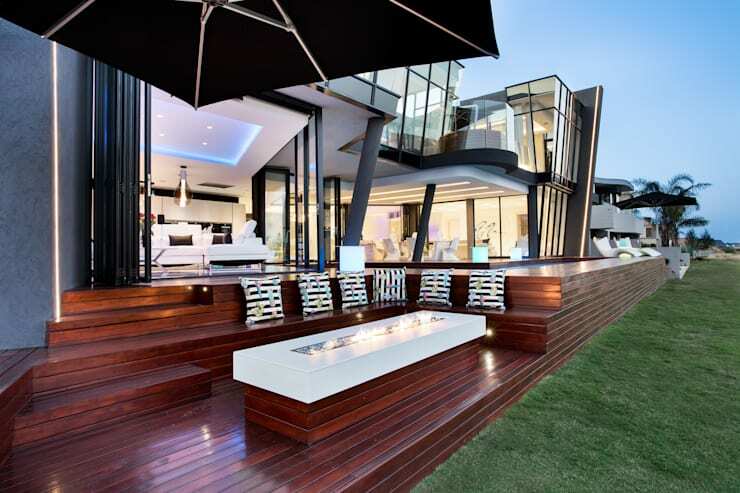 What do you think about that ultra-sophisticated built-in braai? 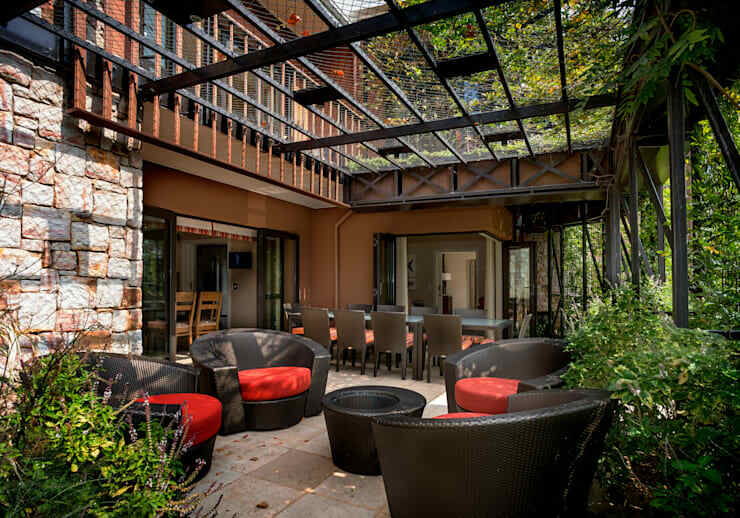 Which of the 13 patios do you like for your own home?